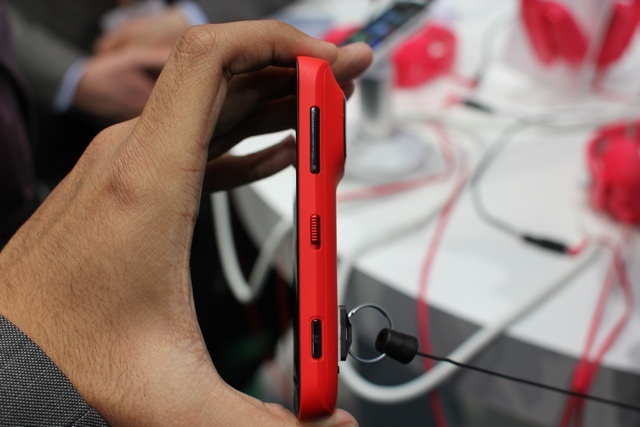 I think it’s safe to say that the new 808 Pureview handset was a surprise to just about everyone here at Nokia’s press conference. 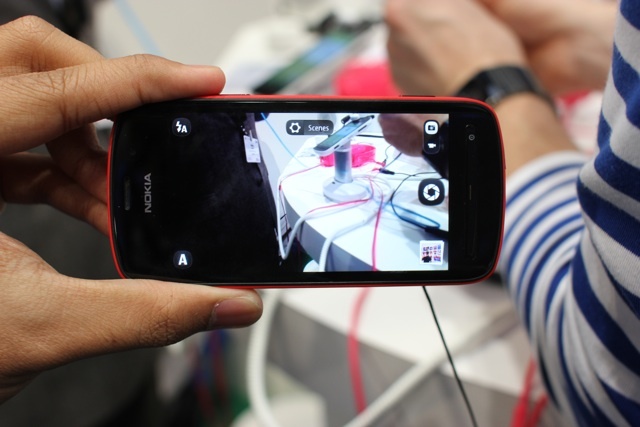 Not only did Nokia manage to squeeze a 41-megapixel sensor (no, that’s not a typo) into a smartphone, they squeezed it into a smartphone that runs on the Symbian Belle OS. But first, let’s get the nitty gritty out of the way. 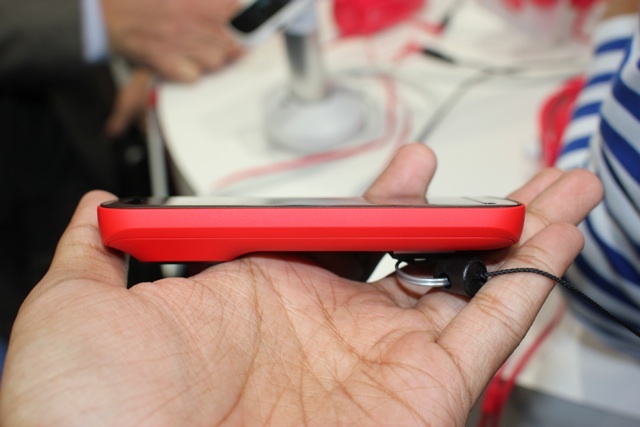 Ridiculous camera aside, the 808 features a 1.3 single-core processor, 512MB of RAM, 4-inch AMOLED display, and a curved plate of Gorilla Glass to cover it up. 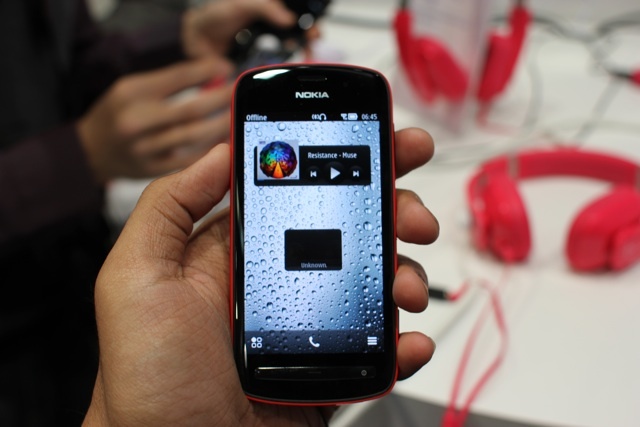 While I can’t help but wish it was a Windows Phone, the OS choice doesn’t come as a huge surprise. 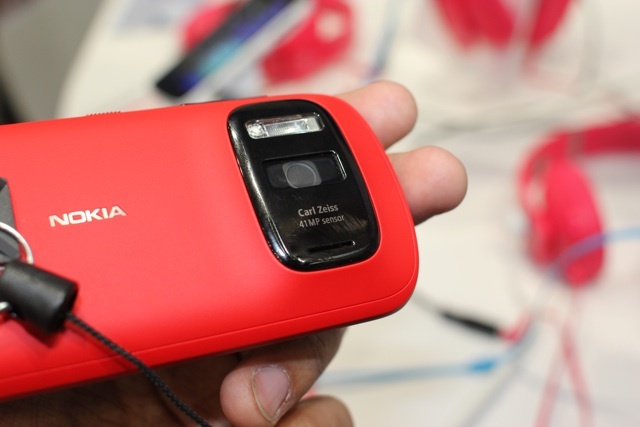 More than a few of Nokia’s recent N-series devices have gained a devoted following of photographers who have fallen for their great mobile optics, and the PureView 808 is geared toward that same set of mobile shutterbugs. 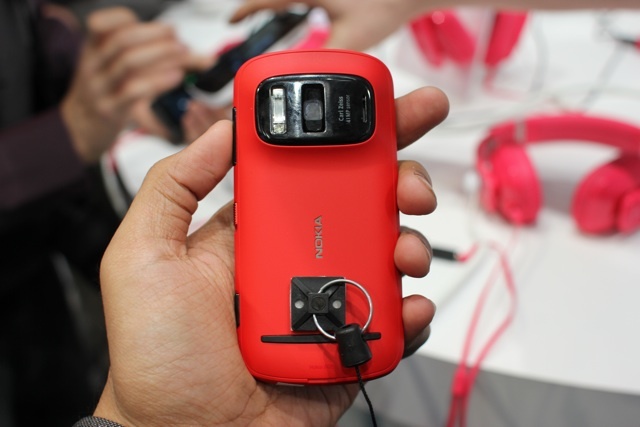 In typical Nokia fashion, the 808’s downright crazy camera features a Carl Zeiss lens, and is capable of recording video in 1080p. 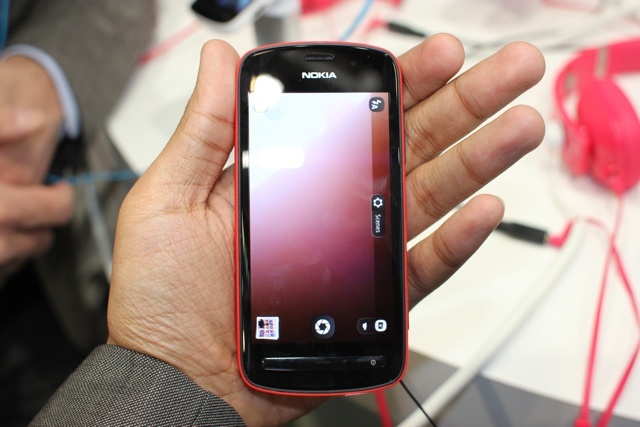 Still, despite Nokia’s branding, you’ll only ever be able to capture images as large as 38 megapixels though I imagine most people wouldn’t be storing too many of their images on their device. That’s no problem though — the real impetus behind such a large sensor is to enable users to zoom up to 3x without taking a hit in quality, so cropping new images from old ones is no longer a dicey proposition. Oh, who am I kidding? Most people won’t even consider buying the 808 — it’s a product meant for a very select few, whose mobile photography needs far eclipse those of the average person. Ahem. Moving along. 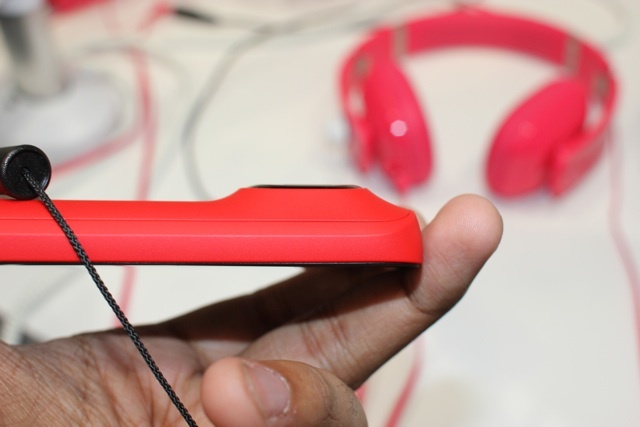 Nokia has folded their new Rich Recording technology, which apparently allows for recording audio at nearly CD-quality. I give it all of 10 days after this thing launches before someone is struck with the notion of filming a movie with this thing. While the camera is going to be the big draw, the 808 is no one trick pony — it also sports Dolby headphone technology that allows users to experience their media in surround sound. The obvious drawback here is the thing’s size — the 808’s thick body certainly makes it a handful, and the large camera pod juts out of the device’s rear end pretty dramatically. That said, it was surprisingly comfortable to hold thanks to a thoughtful design that tapers the thick sides into a gently curving back. I was afraid after catching a few glimpse of the 808 that it would be too ungainly for day-to-day use, but one-handed operation was not only doable, it was pleasant. 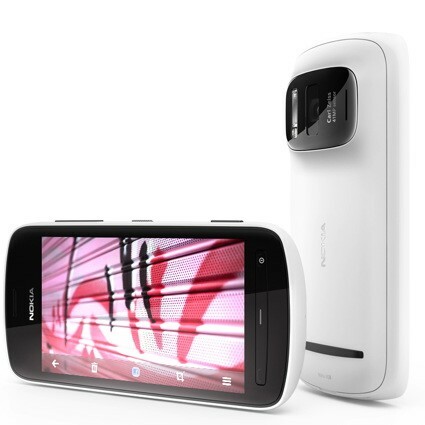 No word yet on when (or if) the PureView 808 will hit U.S. shores, but it’s slated to launch in Europe in Q2 for around €450.